Mix of mostly instrumental, electronic, ambient music and other sounds. Constructed for use over headphones during public transit, but available for the setting of your choice. 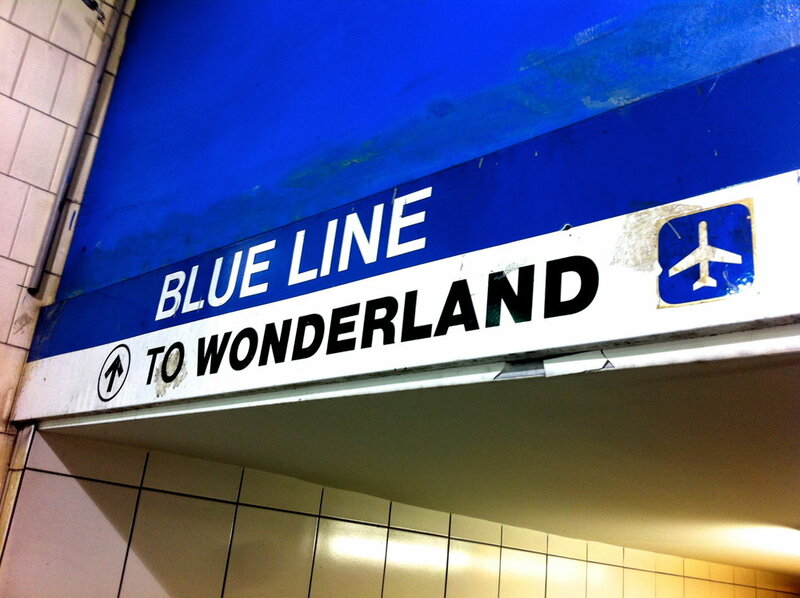 Blue Line heads out west this episode. Mix of mostly instrumental, electronic, ambient music and other sounds. Constructed for use over headphones during public transit, but available for the setting of your choice. Blast off! Just in time for Halloween. Mix of mostly instrumental, electronic, ambient music and other sounds. Constructed for use over headphones during public transit, but available for the setting of your choice. WARNING: This episode is no Monster Mash — NOT for the faint of heart. Turn out the lights, get under a blanket, and keep an extra pair of pants nearby. Watch out for the twist ending! Mix of mostly instrumental, electronic, ambient music and other sounds. Constructed for use over headphones during public transit, but available for the setting of your choice. Bundle up, kiddos. Mix of mostly instrumental, electronic, ambient music and other sounds. Thawing out. Plucked From The Ground Towards the Sun, Huerco S.
Mix of mostly instrumental, electronic, ambient music and other sounds. More beats than most. Mix of mostly instrumental, electronic, ambient music and other sounds. Welcome to the neighborhood. Mix of mostly instrumental, electronic, ambient music and other sounds. Adults are active in the depth of winter. Mix of mostly instrumental, electronic, ambient music and other sounds. After a wedding-related hiatus, the podcast is back. Mix of mostly instrumental, electronic, ambient music and other sounds. Why wouldn't you take the opportunities presented to you? Someone is going to. Someone has to. Mix of mostly instrumental, electronic, ambient music and other sounds, including the frogs and crickets of rural Vermont this round. Mix of mostly instrumental, electronic, ambient music, and other sounds. An homage to the free-roaming chihuahuas of southern Arizona.